Kimi dosen't look happy on the podium. He never looks happy anyways. Happy for Daniel P3 (My favorite driver along with Alonso) Max didn't sound very happy on the radio. Waiting for all the conspiracy theories of Ferrari's strategy with Kimi lol! First half of the race was boring but got a little exiting after the pitstops and the crashes. Glad Wherlien was OK.
Now to watch the Indy 500, Alonso doing pretty good for now. Going to put on my Alonso hat for now! Kimi looked more than pissed on the podium. Forza Ferrari! 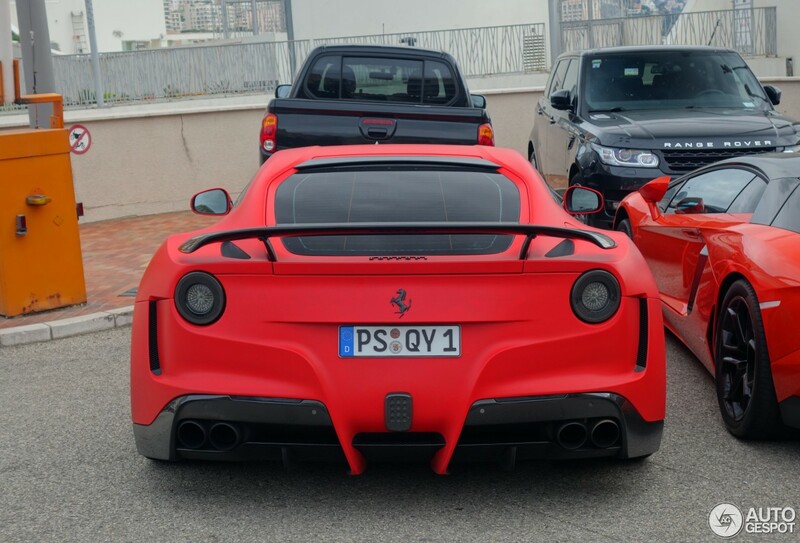 How does the German tuning house Novitec WIDEN a Ferrari F12 Berlinetta by 4.3 inches when making their F12 N Largo? Gotta love Nico interviewing him, "I know how it feels." That's just 2" on each side. Flare the fender and Voila! Ah, didn't realize it was that simple. N Largos look beast tho. Canada GP qualifying starts in a few min. We are go! Formation lap! My predictions were way off lol! Nice drive by VET to get P4 after VER took off part of his front wing on the first lap. I was laughing so hard when Patrick Stewart did a shoey!! Arived in Austin a few days early before the race and decided to drive to the Houston space center. While on the tram tour I saw Lewis Hamilton with a film crew checking out the full size mock ups! I tried waving to get his attention but he looked busy. Got a few pics but nothing too good. Great pics! I think he might sew up the WDC and WCC this weekend.